Dogs Are Always Happy to See You – When you or any member of your family walks through the door, the dog is always going to be the most excited individual in the room. There is nothing quite like coming home after a difficult day and being greeted like you are the best person in the world! After all, you are the best person in their world. They Protect Your Children (from Allergies) – Most people will automatically assume that dog-related allergies will be a problem in their household. In reality, the opposite may actually be true. According to a study by the Department of Pediatrics at the University Of Wisconsin, children who lived in a home with a dog as newborns were less likely to experience wheezing and eczema by the time they were three years old. Early exposure seems to be a factor and it is thought to be associated with how quickly the immune system develops in a child shortly after birth. Play Time Is Anytime – It doesn’t matter what you might be going through in your life, you can always count on the fact that you can take a moment out of your day and enjoy some playtime with your dog. This is also something that you will come to love about having a dog around your children as well. There is nothing quite like sitting on the floor with your kids and having some fun time with the dog. You Will Be Healthier – Dogs provide many benefits to our health, including reducing the risk for heart disease. According to the American Heart Association, dogs provide many benefits to their owners, including engaging in physical activity. In addition, people who had a heart attack were more likely to survive when they own a dog. You can’t argue with the numbers. You Will Understand “Dog People” – There is a measurable phenomenon that occurs when people own a dog. Suddenly, they become dog people and it seems as if their entire life is surrounded by that beloved pet. Some people may tend to look at them as if they were a bit unusual but once you are a dog person, you will understand. You Bond with Your Dog over Everything – It doesn’t matter if you are curled up on the sofa with your dog watching TV or if you are taking them to obedience training classes, the bond between the two of you will just continue to grow stronger. Dogs are naturally eager to please but as the bond grows, you will find that it runs in both directions. Dogs Keep You Safe – There are certain dog breeds that are well known for providing security to the family but regardless of the dog that you have as a family member, they will add to your safety. In part, it is due to the fact that they will hear and see things that might escape your notice. Additionally, dogs keep you safe by providing you with companionship and when you have a dog around, you will never be alone. Tails Untold is very happy to have this great Guest Blog from Tim Shank. Please consider adopting from a Shelter/Rescue first. We want every dog, cat and all pets to find loving and forever homes. So your favorite pooch looks lonely, or you love them so much that you want to get them a friend, or you come across a stray at a shelter and have got to give them a forever home. Any one of these scenarios, and many more, may make your household go from a one dog home to a two dog home. This is not necessarily a bad thing, and no one will ever complain about a shelter dog finding a place to call home, but there are some things to consider. Firstly, you may think that as pack animals, dogs would just naturally get along. After all, you are just bringing home a member of the pack, so all should be good, right? Secondly, even in packs out in the wild, there are rules and regulations that apply to all of the dogs that are banded together, and if these rules are not tolerated by single members of the pack, they will be expelled. So, keeping all of this in mind, here are some tips to make sure that you’ll have an easy time managing two dogs in the house. You rule, and you enforce the rules, and if you have to when one misbehaves, send them to the crate or their bed for a few minutes to teach them that what they did is not acceptable. A lot of fights and bad manners happen around feeding time, so keeping them separate during feeding is a very wise choice. Always feed the calmest member of the two first, and make sure you keep the other dog’s attention away from the first dogs food. Make sure you divide your time equally between the two dogs, Fair is fair and neither one should feel neglected by you for the other. If one begs for more attention, make sure you reciprocate in kind to the other dog so they both see there are no favorites. their own beds that’s something else, but then just make sure they each have their own bed. If you can make them feel equal, you won’t have to worry about one or the other trying to take control. Playful dog fighting is common, and biting necks, tails, jumping and mouthing each other is all a part of the game. But make sure to watch them for the first several times they play together. If one tries to assert dominance and turn a play into genuine rough housing, you have got to be able to nip that behavior in the bud. If you don’t, you’ll have all kinds of trouble down the road. 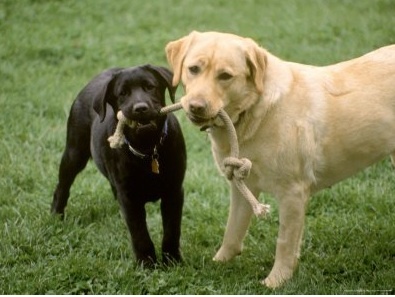 If you use the tips above, both of your dogs will become great friends, they will respect you as a leader, and they will both do their best to please you any which way they can. That’s twice as nice for everyone. Lyme Disease is a tick-borne illness and it can be debilitating in humans, but also in dogs.. In humans, often, but not always, one can tell if they have been infected if there appears a “bull’s-eye” rash at the site of the bite. This does not happen with dogs. So what are the common symptoms found in dogs with Lyme Disease? It can be a difficult disease to recognize. Dogs can have Lyme disease organisms for over a year, without showing any symptoms, and when the symptoms appear, the Lyme disease can have spread throughout the entire dog’s body. What should you do to help prevent your pet from getting Lyme Disease? Of course, the obvious is stay away from grassy, wooded, sandy areas. This does not seem fair to your dog, as most love the out of doors. In addition, they can also be found in urban parks and dog parks. You can do a little research to learn about the ticks and diseases in your area. If your dog has been outdoors in any of these areas, check thoroughly for ticks. They are not always easy to find, as they can be as tiny as the head of a pin. If the tick is moving, that is good as it has not fed yet and easy to remove. There is a safe and effective vaccine. It is given twice, at two or three week intervals. You must repeat this vaccination every year to be effective. During an annual checkup, you can include a vector-borne disease screening. Even though these can be very effective, it is still important to check your dog after being outdoors, especially if you have been in a woody, grassy or sandy area. If you do find a tick, protect your fingers and remove with a tick remover or a pair of tweezers. You must be sure and get the entire tick out, so pull straight, do not twist. There are several antibiotics that are available and they are quite effective, especially if caught in the early stages. The response time to the antibiotic can be within a week. Educating yourself about ticks and Lyme disease is a great step in keeping your dog healthy so you can both enjoy the great outdoors. As a pet owner, you already know the love and joy that your favorite furry friend can bring into your life. But, what happens when Fido’s medical bills start surpassing that of the rest of your family’s? Pet Insurance is a topic that often comes up with our Pet Loving Friends. For those that have purchased Pet Insurance, all seem to have found that the benefits outweigh the costs. Not only have they saved money due to the rising cost of Vet bills, but Pet Insurance also provides a great piece of mind. When finances are tight, Pet Insurance has helped many to not think twice about taking their pet kid(s) to the Vet and it has helped in making the decision to agree to the tests and treatments that their Vet advises. We hope you find it as helpful as we did. Stay well and may your pet kid(s), stay well, too. We are very pleased to have our guest blogger, Stephanie Lynch, howmuchisit.org, share this wonderful article on Dog Barking Laws. A special thanks to Stephanie from all of us at Tails Untold Personalized Pet Books. 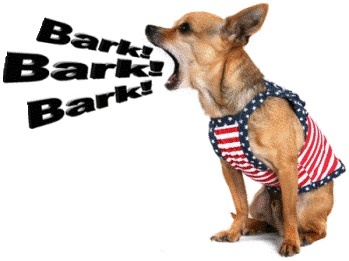 Barking laws are designed to protect you from chronic barking at your neighbor’s house. Dogs barking can disrupt your sleep, your daily routine and even your health. To protect you from such harm, anti-barking laws are made. Now, before we get into the specifics of dog barking laws, keep in mind that usually, the best course of action is to contact your neighbor in person. 90 percent of the time, your neighbor wonít know about the issue and will usually do something to resolve the problem. Bypassing this step may often lead to tension or even a lot of wasted time on your part. Barking laws differ from city to city, but you can learn about them by calling the nearest animal control center or even contacting the local police department. Most of the time, if you search your city plus the word dog barking laws, you will get an official page telling you the local law and how to dispute a barking dog. Do keep in mind that before making a dispute, the local police department will put these complaints on the bottom of the list. There are many common barking laws found throughout the United States and listed below are the most common types you may find in your local city. According to this law, barking is considered illegal if the case goes to the court and the victim provides detailed information about the owner, dog and neighbors. The victim has to come forward with some neighbors who have the same complaints before the authorities can take any legal action. Before it can go to court, however, you will more than likely have to meet with the neighbor, write a detailed letter complaint, file legal papers and gather relevant data. As you can only imagine, hiring a lawyer can be expensive, www.howmuchisit.org if you choose to do it on your own, it can eat up a lot of your time. This is the only law that requires more than one complaint before the judge may agree to take legal action. There is no specific information in the ordinances of this law as to whether or not it is illegal for the owner to allow their dog to bark. It only depends on the judge to declare that, whether or not, the barking in your situation is illegal. In simple words, this law states the barking is illegal only if the judge says that it is illegal. The major problem with this law is that most people do not agree to get involved since it can cause conflicts or can take up too much of their time. To file a complaint according to this law, one has to pass all the procedures as with multiple-household laws but with a single complaint in effect. Only a single victim without any neighbors within a certain radius can take advantage of this law, but most cities don’t have this law in effect, so don’t count on this working for your situation. The major problem with this law is that it’s going to be you versus the neighbor and most cases don’t make it to court. The consecutive-disruption law only protects you from the noise of a dog that has the habit of barking virtually non-stop. The authorities only take action when the dog barks continuously for a number of minutes, and the amount can be random depending on the local law. Most of the time, it will be around 20 minutes. This law is not exactly the answer to your problems. Under these ordinances, barking is illegal only if the owner allows the dog to bark continuously without any breaks. But, if the dog stops barking after a few minutes and starts after a few seconds, the countdown resets and begins from the start. According to this law, if your neighbor’s dog is barking, you can settle the dispute by talking to your neighbor. This law forces the people to settle their disputes by talking to each other before going to the authorities. Most of the time, a neighbor may not know about their dog’s barking and will take action to prevent it, while others may be stubborn and tell you to get lost. Whatever your local laws may be, this is often the first route you will have to take. 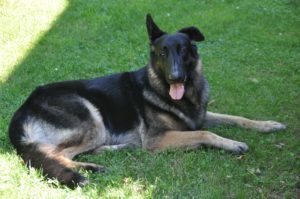 If you’re curious about the dog laws more in details, BarkingDogs.net went into more detail, along with stories about people who have successfully worked with the law. One of my favorite “dog tails,” especially when it comes to healthy eating habits and snacks for our pets, actually comes from one my own personal experiences. It happened one day when I took my dog to the vet when she was acting particularly peculiar. She was very listless, lethargic and was showing some obvious signs of doggie dehydration. Come to find out, my canine had accidentally consumed a large quantity of carpet fibers and the mass was blocking and interfering with her digestive system. When my caring veterinarian suggested surgery might be necessary, I was mortified, but she said she wanted to try something much cheaper and less invasive first … pumpkin … and I was intrigued. 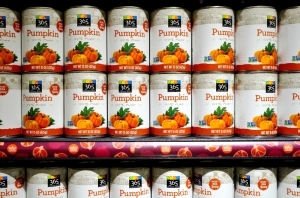 The good dog doctor led me behind the front counter of her office and opened a cupboard that contained dozens of cans of neatly stacked, solid-pack pumpkin, the kind used to make holiday pies. 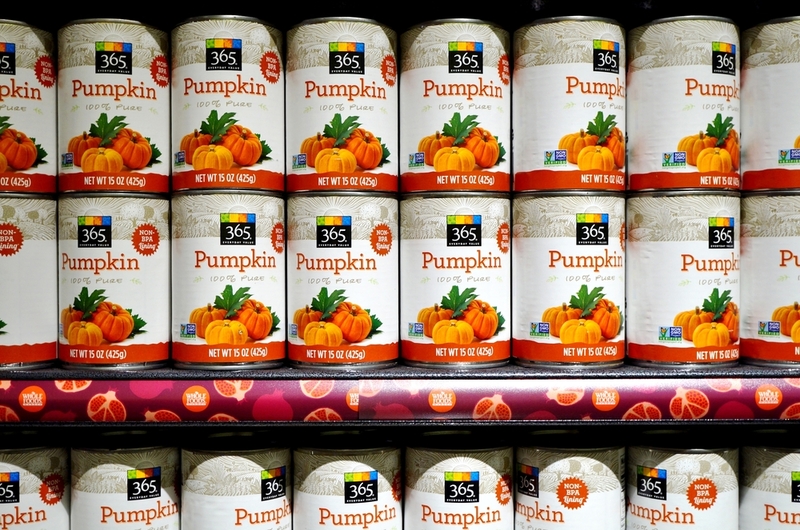 Unbeknownst to me at the time, pumpkin aides with a dog’s overall digestive system along with a number of other healthy benefits. Low and behold, several hours later, my canine had “passed” the mass without the need of a scalpel. To this very day, I still keep pumpkin on hand, mostly in portions that I keep frozen, and give them to my dog as a treat, especially during warmer summer months as a “pup-sicle”. You can also mix it in with their regular food as a digestive aid and offers a number of additional health benefits. Another healthy treat from my personal vault of pet stories, my dog also enjoys raw carrots. She thinks they’re some kind of a chew toy and when I toss one to her, she gnaws on it until it eventually disappears, as she devours every last scrap. Yams and sweet potatoes are also enjoyed by canines and can be served sliced raw or dehydrated. 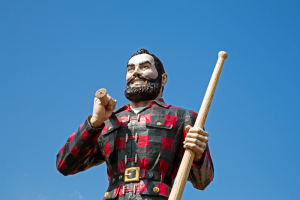 Being a fan of Paul Bunyan as a child (giving away my age a little), I was fascinated with trees and when my Mom told me Broccoli were in fact tiny trees, I gobbled them up without thinking. Broccoli and many other types of greens are just as healthy for canines as they are for kids. When I was younger, when spinach went on my plate, since I grew up on old Popeye cartoon reruns (I get it – I’m old), my Mother didn’t have to sell this healthy, leafy green vegetable to me since I wanted to grow up big and strong like the sailor man. The same is true for dogs since spinach is just as healthy for canines as it is for kids. Just like human children, you’d be surprise at how many of them actually like fruits and vegetables, whether you’re including them in their regular serving of food or serving them outright. Don’t discount certain healthier food choices from your dog’s diet assuming they might not enjoy them … you might be surprised. For more information on healthy fruits and vegetables for your four-legged best friend, check out this infographic on “7 Superfoods To Add To Your Dog’s Diet.” You’ll both be glad you did. Tails Untold Personalized Pet Books would like to thank, Amber Kingsley, for this wonderful and informative Guest Blog. 4 Reasons to Work with Animals Before You Become a Veterinarian (and How Rover.com Can Help! )-A guest blog from Kelly Wright. At Rover.com, we love the hardworking vets who have dedicated their careers to making our pets’ lives the best they can be! That’s what inspired us to interview vets from all over the country for our recent feature, Veterinarians Share the Amazing Stories that Inspired Their Careers. Not only did they tell us the incredible tales behind why they followed their dreams into the field, we also learned that their careers unofficially started way before they donned their white lab coats! Every vet we interviewed had experience working with animals prior to applying to vet school. And as we discovered, there are many great reasons for future vets to follow their lead (and Rover.com can even help)! You’ll learn about the hard parts of the job. One of many reasons that vets are so remarkable is that their job is often unspeakably difficult — and not just because science is a tough subject. But unfortunately, despite vets’ best efforts, not every animal has a happy ending. And that doesn’t just take an emotional toll on pet parents — it’s hard for vets when they lose a patient too. “Unfortunately, the dark side of veterinary medicine is that we suffer greatly from compassion fatigue,” Dr. Monica Dijanic of Beaver Brook Animal Hospital said. You’ll learn about being a compassionate caregiver in real-world settings. You can’t learn empathy from a college textbook, but you will learn about it by working directly with animals — whether they’re your own pets or someone else’s. Dr. Laura Ziegler of DoveLewis volunteered with the Humane Society and did search and rescue dog training when she was in grade school. She also learned a lot through her personal experience of caring for her own dog. Through her experience both in and outside of her home, Dr. Ziegler acquired a special perspective on some of the tough times families face when caring for pets. This type of insight is vital to a veterinarian’s training outside of the classroom, and the best way to get it is through hands-on experiences. You’ll learn how to work with different types of animals. It’s not always raining cats and dogs — vets work with all kinds of animals! “In high school, I volunteered with our local animal shelter and the local zoo to get more experience learning about and taking care of all different types of animals,” Dr. Tyler Carmack of Hampton Roads Veterinary Hospice told us. Working with a variety of animals creates more well-rounded veterinarians who can confidently treat whatever critters come their way. You’ll also open yourself up to other aspects of animal care that may be of more interest to you than working with domestic animals. You’ll learn about job opportunities outside of working in a clinic. Through your work with animals, you’ll learn there are all kinds of ways you can utilize your training as a vet. You’re not limited to a traditional doctor’s office setting if you have your sights set on a different horizon! For example, Dr. Elizabeth Carney of Peaceful Pet Passage is a mobile veterinarian. Rather than having patients drop by for care, she hits the road to see them where they live. “As a mobile vet, I love being on the road versus working in an office setting,” she said. If you’re looking for a fun opportunity to work with animals, pet sitting with Rover.com is a great way to get started! “It’s important to have practical experiences with animals, whether it be petsitting, volunteering, or working with them in another way,” Dr. Carmack noted. 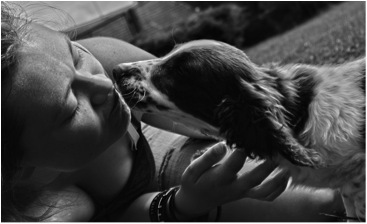 Guest Blogger Kelly Wright explores and celebrates the magical and mysterious bond between pets and people for Rover.com’s Animal Heroes section. If you have an amazing story about how an animal has brought joy and wonder to your life, please email her at kelly@rover.com. We are very pleased to have our guest blogger, Dog Guy Josh, share this wonderful article on how best to be prepared should an emergency or disaster strike. Thank you, Dog Guy Josh! 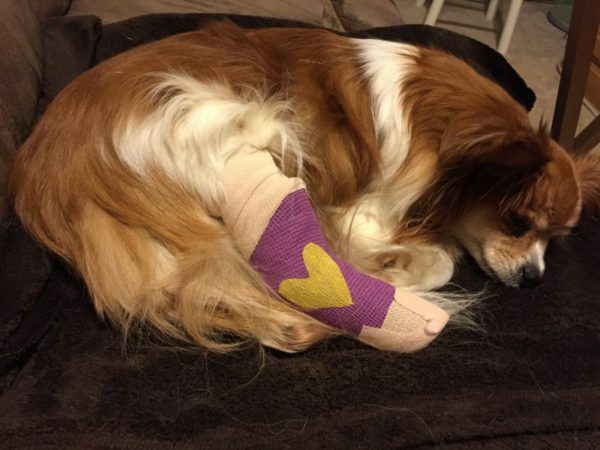 Pet First Aid: When the unexpected happens and your four-legged friend find himself on the injured list, knowing what to do can help him hurry up and heal so that you can heel! When dealing with injuries and potential illness, you won’t know what’s abnormal if you don’t know what’s normal for your dog to begin with. Take the time to familiarize yourself with your dog’s daily input and output (eating, urinating and defecating) habits, as well as how he moves and breathes and how his body feels under your hands as you pet him. Paying close attention to these details can help you quickly recognize when something might be wrong. 100-160 BPM for small, miniature or toy breed dogs (30 lbs or less). 60-100 BPM for medium-to-large breed dogs (30+ lbs). 120-160 BPM for puppies under one-year-old. The heartbeat of a dog can be felt at the point where the left elbow reaches the chest, along the inner thigh, just below the wrist or just below the hock. Practice under calm conditions to determine which method is most comfortable for you and your pet, as well as to monitor his normal heart rate. The normal breathing rate for a dog is 10-30 breaths per minute or up to 200 pants per minute. The normal body temperature for a dog is approximately 100.2-102.8 degrees Fahrenheit. Temperatures not within this range should be addressed by a veterinarian. Capillary refill time (the time it takes the gums or inner lips to return to their normal pink color after you press them) should be between 1-2 seconds. When pulled upward, the skin at the back of a dog’s neck should spring back to position within 1-2 seconds. A longer return time can indicate dehydration. Dry, sticky gums may also signal dehydration. It’s extremely important that dehydrated animals be taken to a veterinarian for proper care. When in doubt, consult your vet! The most important information to have on hand during a medical emergency is the name and phone number of the nearest veterinarian and 24-hour veterinary facility. Keep this information on-hand and consider taking a test drive to the local 24-hour facility BEFORE disaster strikes. Learning how to properly perform CPR is a wonderful investment in your pet’s future. All pet owners should be proficient in this potentially life-saving, pet first aid skill. 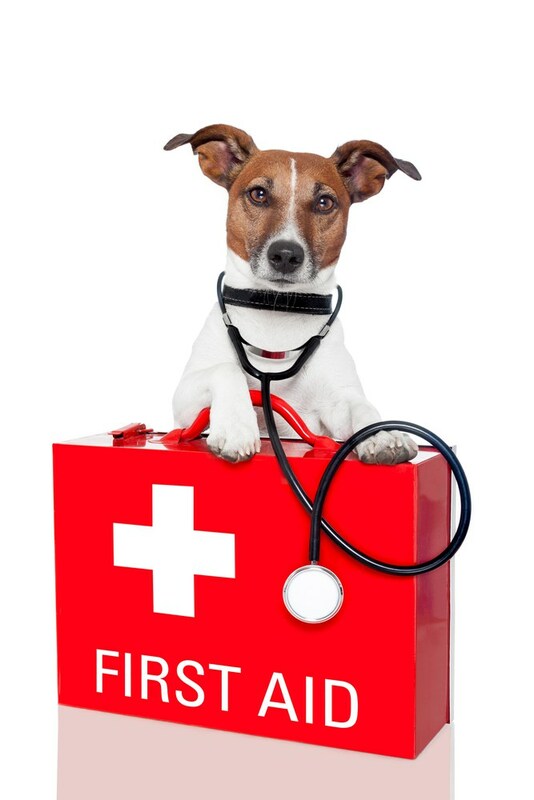 Several organizations, including the American Red Cross, offer classes on animal first aid and CPR. Shock – The body’s response to a change in blood flow and oxygen to the internal organs. Shock often occurs following sudden blood loss, traumatic injury, severe allergic reaction or infection circulating through the body. Bloat and Torsion – A condition in which the stomach fills up with air or food, which can cause the stomach to turn around itself, often misplacing the spleen. As this happens, blood supply to the stomach and spleen is lost, damaging the organs and resulting in shock. Bloat and torsion are life-threatening emergencies. Handling and Restraint – Make a habit of handling and gently restraining your pet on a regular basis, rewarding him generously for calm behavior. Muzzling – Don’t wait until disaster strikes! 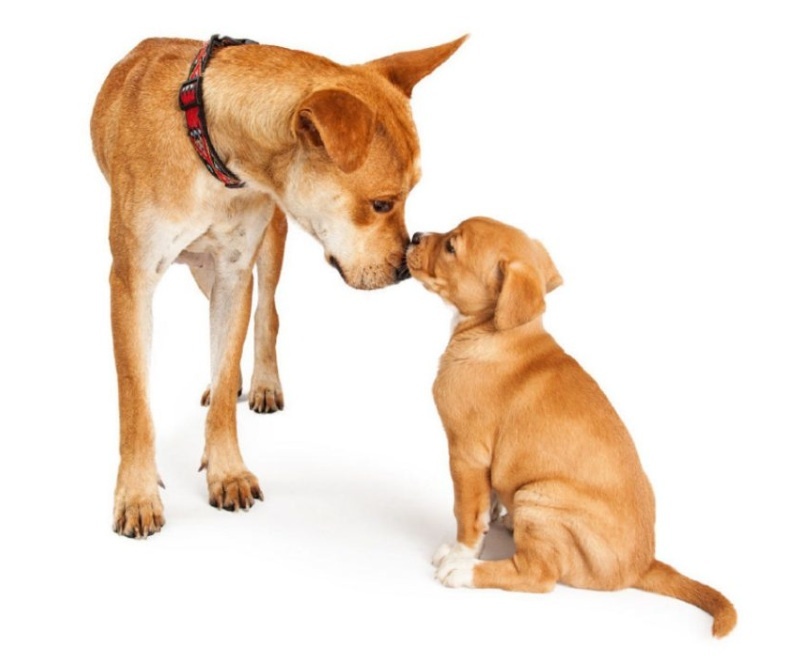 The best time to introduce your pet to a muzzle is NOT when he’s scared and hurting. Teach him to accept being muzzled by practicing often under calm conditions. Elizabethan Collar – Like muzzling, teach your pet to calmly tolerate life in an E-Collar under normal conditions. Confinement – Injured animals often must be confined in order to promote calm behavior necessary for healing. Even if you don’t use a crate on a regular basis, it’s wise to teach your dog to accept spending limited time in a crate or similar confined area. If you need to evacuate your home, do not leave your pets behind; they are not likely to survive on their own. For public health reasons, most emergency shelters do not accept pets. Research area hotels/motels that are pet-friendly and identify a few friends and family members who are willing to shelter your pets in an emergency. 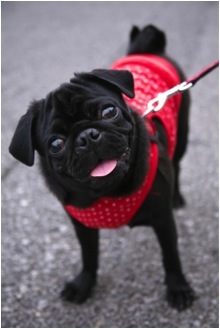 Make absolutely certain that your pets wear collars with identification tags at all times. Keep contact information up-to-date. Consider adding a cell phone number or an out-of-area friend or relative to maximize the opportunities for an appropriate caretaker to be contacted regarding your pet. Have your pets microchipped to provide them with a permanent source of identification. Keep an appropriately sized crate or pet carrier on hand. In the event of a natural disaster, confining your pets in a crate may help prevent injuries from debris. If you do not regularly use a crate, consider occasionally feeding them in their crate to maintain a positive association with confinement. Create a pet survival kit that’s kept in an easily accessible place and contains necessities like 2 weeks worth of pet food, bottled water, food/water bowls, can opener, medications, pet first aid kit and one or more sturdy leashes. Include current medical relevant information about your pet, contact information for your veterinarian as well as for any persons authorized to care for your pet in your absence. It may also be helpful to include a brief medical history and current photo. Make a list of area boarding facilities, veterinarian offices and shelters. In the event that you are unable to return home right away and need long-term care for your pets, these facilities can assist you in finding appropriate care. Not all emergencies take place when you’re home. Designate a nearby friend or family member to check on your pets if necessary. Add a Pet Rescue Sticker to your front door or window to alert rescue personnel of the type and number of animals inside. Stickers can be purchased at most pet stores and are available free of charge at www.aspca.org. This was first published by the Association of Professional Dog Trainers, www.apdt.com, 1-800-PET-DOGS. I’ve always been an animal lover, and grew up consistently having at least one family pet as my constant companion. But things change when you become the adult responsible for caring for a family dog, and the extra cleaning that comes with having a pet was not on a list of things I was dying to do! Dogs inspire their owners to get moving. To take the best care of our pups, we have to ensure that they are getting plenty of exercise throughout the day. One of the best ways to do this is to join them in the fun! This article points out how having a family dog can also be an especially effective way to encourage children to play with their pet, and ward off the risk for childhood obesity. Pooches are an adorable stress-buster. The reason we tend to feel better around our dogs is because interaction with them literally tells our brains to be happy. This article the health benefits of our dogs explains that spending time with our critters releases a hormone called oxytocin, a neurotransmitter known as the “love hormone” because of its role in making us feel connected with others. The higher our oxytocin levels, the more naturally equipped we are to handle stress. They have potentially-lifesaving olfactory senses. Dogs are known for their acute sense of smell, and now they are using it to help their two-legged companions. Research has shown that dogs are able to detect health issues such as low blood sugar in diabetics and even some infections. Scientists are also now studying the canine ability to detect cancer, and hope to create a form of technology based on dogs’ natural gift of smell. They provide uniquely compassionate therapy to those coping with cancer. Because of their abilities to boost the mood of those around them, dogs are frequent visitors to cancer patients undergoing treatment, and can be instrumental in managing emotional stress that often leads to serious mental health issues like depression. According to Cancer Treatment Centers of America, their presence also provides physical benefits such as a decrease in pain and blood pressure. Dogs don’t just provide us with unconditional love and incessantly wagging tails. In fact, sharing our homes with them may actually provide many unique and wonderful health advantages. A new dog may even be the health remedy you’ve been seeking! Thank you for this great information from our Guest Blogger, Vee Cecil! Please let us know how your pet whether a cat/dog/bird/hamster/or any pet has improved your life! We love your comments. Vee Cecil is a wellness coach, personal trainer, and bootcamp instructor. Vee is passionate about studying and sharing her findings in wellness through her recently-launched blog. 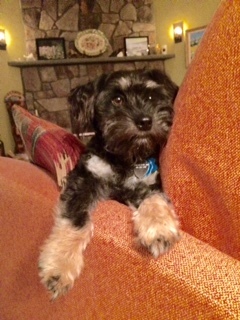 Most dogs are very perceptive at reading their owner’s body language. They seem to know when their owners are happy, sad, distressed or anxious. This ability has allowed some dogs to be able to sense changes in their owner’s body or behaviors prior to a seizure. They do this within seconds minutes or hours before the seizure occurs. Dogs have their own ways of letting their owners know of an impending seizure. They may bark, become restless, paw at or lick their owner’s hand. This alerts the person to seek a safe place to sit or lie down to prevent falls that might occur with the seizure. No one is sure why or how a dog is able to recognize that a seizure is coming. Theorists believe that it may be a change in the person’s behavior, body language or even an odor that the person emits prior to the seizure. 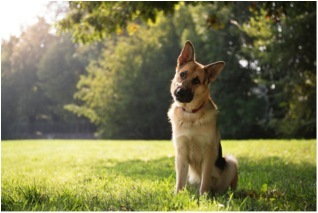 This ability to recognize an impending seizure is not something that is trained and is a common phenomenon in many dogs. It does not seem to be related to a dog’s breed, age or whether the dog is a male or a female. Seizure alert dogs are ones that are very sensitive to a humans behavior or emotions. When a person comes out of a seizure, they tend to be disoriented or confused. Having their dog by their side can help re-orient them to their environment. Their dog’s presence is also a comfort. It is known that dogs can help to eliminate daily stressors in our lives. People with seizure disorders can sometimes increase their number of seizures when under stress. Having a loving canine companion may help to prevent this increase. So seizure alert dogs are important to helping keep their owners safe. They help eliminate their owners fears of seizures and make their daily lives much easier.